Aleia González, classical guitarist, was born in Asuncion, Paraguay, where she began her guitar studies at the age of 8. Aleia finished her conservatory studies in 2011, and kept performing in the Asuncion area as a soloist and chamber musician. In 2016, she was elected to be part of “Pu Rory” guitar ensemble, under the direction and coaching of Paraguayan classical guitarist Berta Rojas. Aleia has performed in the Kansas area throughout 2018 both as a soloist, and collaborating with tenor Neal Long. 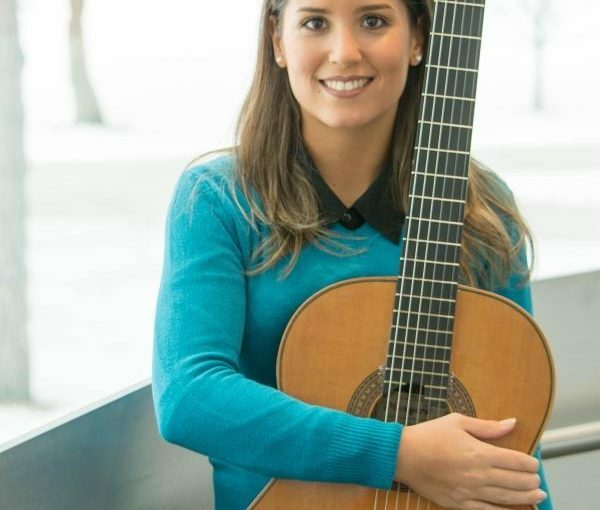 She is now a first-year Master of Music degree student in classical guitar performance at the University of Missouri-Kansas City, studying with Dr. Bráulio Bosi.